(Bloomberg) -- Edo Volpi finally figured out how to combine his work with his passion. The retired energy technician has joined Italy’s craft brew movement, and his beer comes with a twist: it’s produced entirely with steam power. For Volpi, 66, the long days working at one of Enel SpA’s geothermal plants in central Italy often culminated at his home in the Tuscan town of Larderello, feet up, a cold pint in hand. The beer was even more satisfying, he found, when it was home-brewed, a hobby he experimented with in a backyard operation. 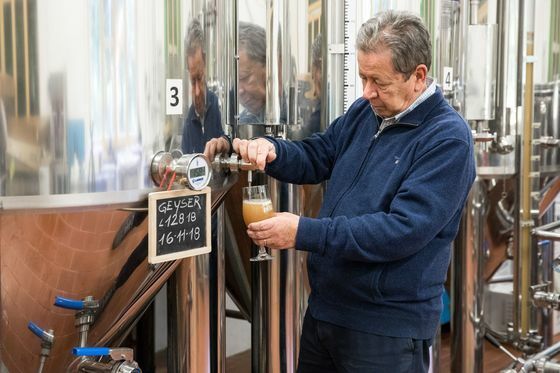 Six years later, Volpi—now retired after 33 years at Enel—is a full-time beer maker who owns and runs a brewery he calls Vapori di Birra, or Beer Steam, and he sees both an international market for his product and a role in helping build eco-tourism in Tuscany. Vapori’s first international consignment of 1,600 bottles of the brewery’s eight varieties, with flavors ranging from chili to chestnut, was shipped to California last year, and the engineer-turned-brewer says that’s just the start. Production last year was about 40,000 bottles. Volpi’s corner of Tuscany is a steamy land, where even the local museum is dedicated to the story of the energy that seeps up from geothermal springs below the surface. Volpi and his crew have branded their beers accordingly, with Geyser Ale, Sulfurea Weiss Beer and Magma Double Malt Amber just a few of the names in the Vapori line. Enel, which expects half of its power generation to come from renewable sources by 2021, is in on it too, backing the venture as part of a project to help develop green tourism in the region. 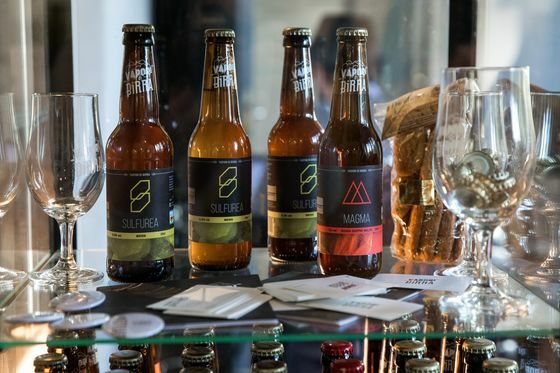 Tuscany already has a long history of local craft production of high-quality food and wine, and Volpi hopes zero-emission beer will become part of the draw for foodies and low carbon-footprint enthusiasts.